Welcome to another instalment of my weekly Meet The Blogger Series, especially designed to help you all find some new blogs to read! 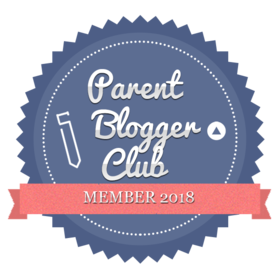 Today our featured blogger is Lianne from Mrs Mummy Harris, a fantastic family and parenting blog boasting a whole heap of posts on everything from weaning to mental health. I hope you enjoy learning a bit more about this fabulous blog and the lady who created it. My name is Lianne and my blog is all about me, my husband and our three kids. For about two and a half years now. I was feeling really low with postnatal depression and through Instagram I found a community of parenting bloggers who made me realise I wasn’t alone. It was an easy transition to becoming a blogger myself! Getting comments saying that I’ve helped someone.. it really means so much to me. I need to remember that doing this means I can stay at home with the boys. I think when I was pregnant and exhausted and just didn’t want to do any blogging but needed to find the energy.. it really was so tough and I almost quit. This post is one of my most popular to date. There was so much I wasn’t told when I had a c-section and I wanted others to know what they were in for! I hope to be able to remain monetising from the blog to stay at home with my boys. I’d like to say a massive thank you to Lianne for taking part. Check out next week’s post as I welcome another fabulous blogger.